One of the greatest love stories of the Instagram era ended this year when Kylie Jenner and Tyga reportedly called it quits. 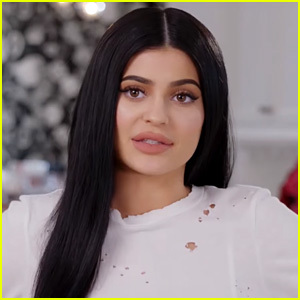 Though there was a lot of speculation about the cause of the split, the on-and-off again couple never provided a legitimate explanation; however, fans finally got their long-awaited answer during the latest episode of Life With Kylie And it turns out, there is no bad blood. "There was absolutely not one thing wrong with me and T," the 20-year-old said. "Him and I will always, always have a bond. There was no crazy fight. We just decided, well, I decided that I'm really young. I don't want to look back five years from now and feel like he took something from me when he's really not that type of person." Kylie's good friend Jordyn Woods brought up the "awkward" encounter Kylie had with Tyga at this year's Coachella. "Breaking up with someone, it's like you go to being so close with someone—them being your everything—to seeing them and acting like you don't know each other," Woods explained. "It's hard to be normal." Kylie's unexpected run-in with Tyga occurred around the time she and Travis Scott began fueling dating rumors. Though she has never confirmed a relationship with Travis, she did tell Life of Kylie producers she was, in fact, dating someone who appears to be obsessed with her. We're convinced she's talking about the Houston rapper. It's clear Kylie is in a good place after moving on from Tyga, though she does admits that being in the public eye has made dating more difficult.